This London-based company believes in simple designs and bright colors. Most of the accessories that just launched are available with splashes of bright pink or lemon yellow. But people who prefer black can get that instead. “We wanted to create something that was elegant and not overly-complicated, but then you instantly saw functionality and beauty once it was in its final form,” Rapha’s Creative Director, Alex Valdman, told Gear Patrol. 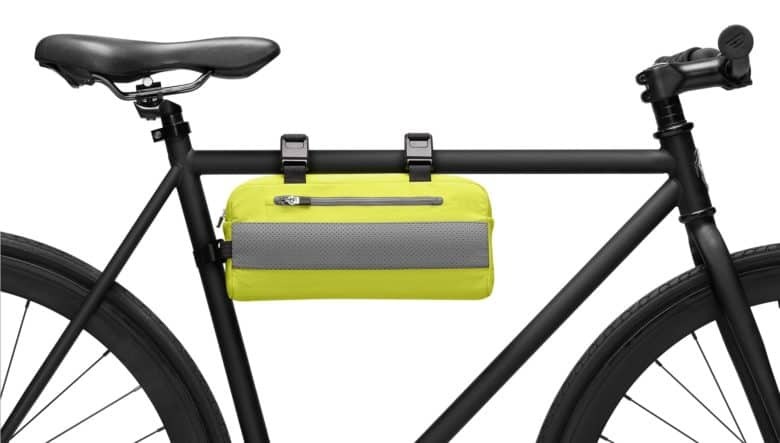 The Apple Store is now offering a Mini Messenger Bag ($129.95), a Convertible Tote ($149.99), and a Tech Organizer Kit ($49.99) from Rapha. 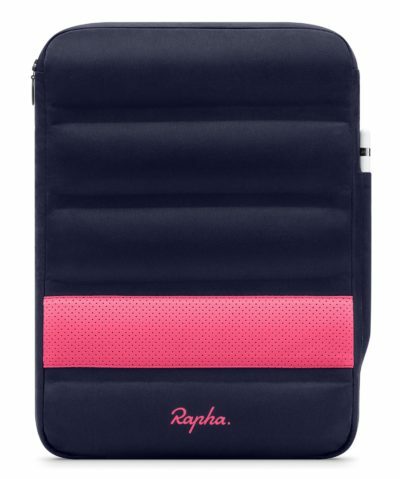 Carry your iPad in style with this Apple Rapha sleeve. The new line also includes sleeves for the 12.9- and 10.5-inch iPad Pro ($64.95), as well as the 12-, 13-, and 15-inch MacBook Pro ($69.95). The iPad sleeves come with a slot for an Apple Pencil. It seems very appropriate that these products were designed on an iOS tablet. Valdman has been using an iPad Pro as his primary design tool since 2015.